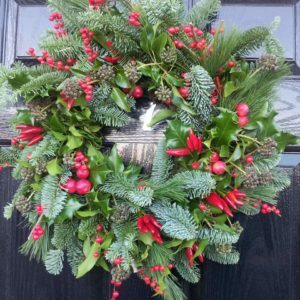 Give your visitors an especially warm welcome this year with a door wreath you have crafted yourself. 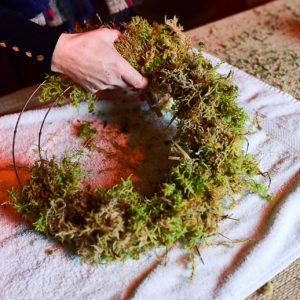 Our experienced tutor Rebecca from The Botanical Flower Studio will guide you through the process of selecting, preparing and presenting foliage and flowers to create a stunning wreath. 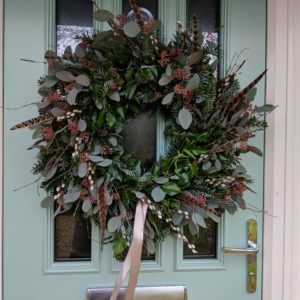 Rebecca believes in sourcing local, seasonal materials as much as possible and will be inviting you to use holly and ivy from around Sacrewell farm as part of your design. 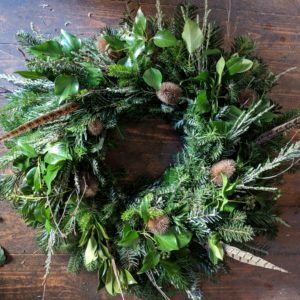 Our Festive Floristry: Door Wreath workshop will run on Sunday 16th December from 10:00am till 12:30pm and will cost £50 per person. 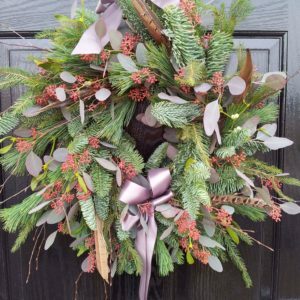 This workshop is suitable for beginners with no prior experience. It is suitable for anyone aged 16 or over. Under 18s must be accompanied by a paying adult. Our mill house is a historic building situated a 300m walk from our main entrance. The rooms used for the workshop are on the ground floor of the building with slightly raised door frames at the entrance. 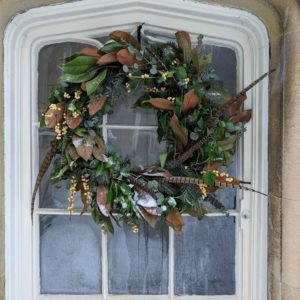 We may be able to offer a parking space closer to the mill house; please contact us by email if this is something you require.